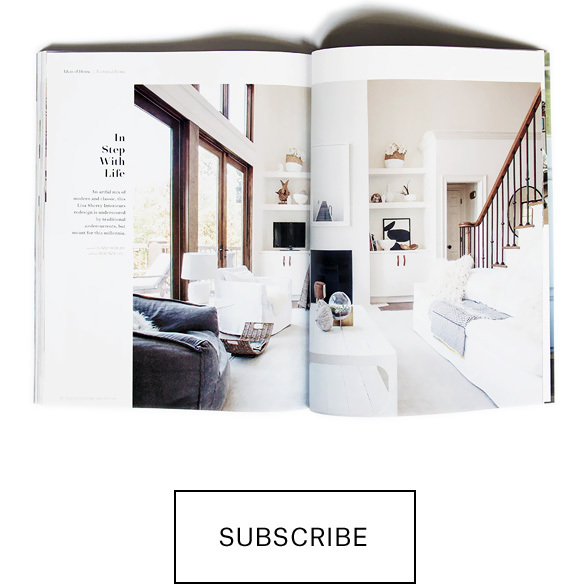 People in the business of creating custom homes can be as devoted to architectural fashion as designers of womens haute-couture clothing. But where clothing trends change from year to year and disappear from public eye, dominant architectural trends can hang on for several decades: The resulting buildings lasting over a lifetime in the visual fabric of our communities. Both practitioners and their clients approach this expression, process and responsibility in different ways. 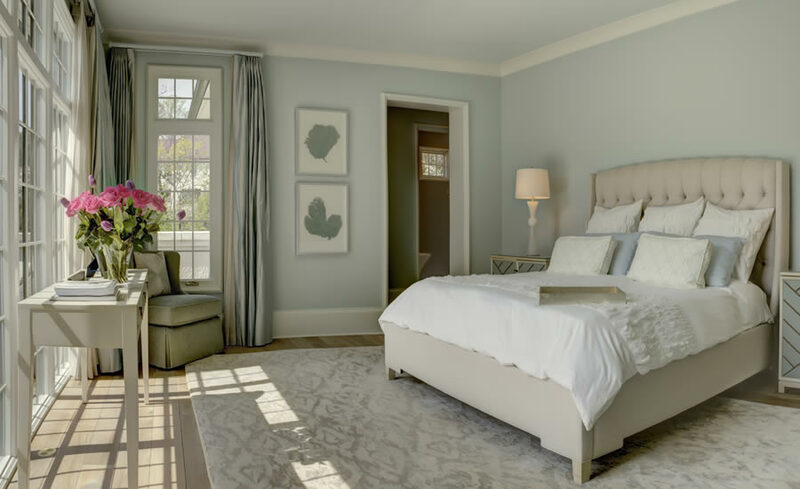 Projects are highly individualized and design standards are often impacted by custom selections and wholly personal preferences. Popular local trends can also diverge from the original path of architectural integrity through slipshod interpretations or the indiscriminate blending of styles, resulting in hybrids that dont age as gracefully. If all involved can share a certain loyalty and faithfulness towards true architecture, the prudence and purity of this collaboration is simply breathtaking in its outcome. So it is no surprise that these homeowners, who also happen to be well-regarded custom homebuilders, would have a leg up on this kind of endeavor. 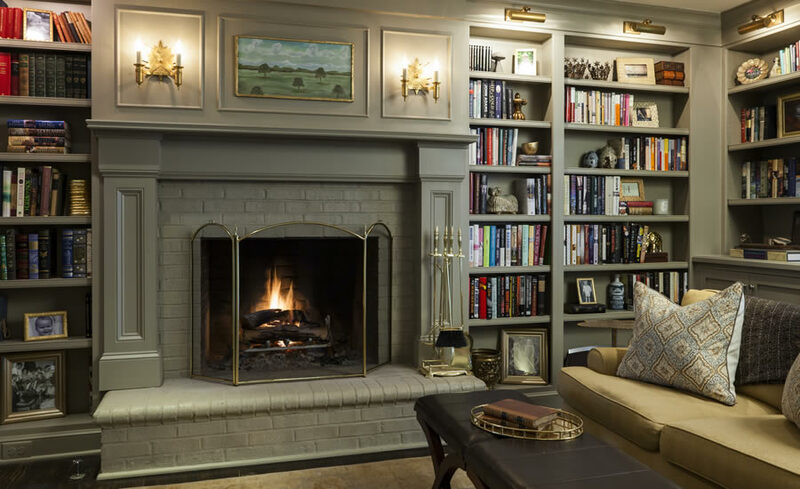 When it came time to build their own home in Southpark, Peter and Louise Leeke of Kingswood Custom Homes sought to embody the work of their favorite and most renowned British architect from the 1890s: C.F.A. Voysey. He, much like Frank Lloyd Wright, believed there was no detail too small to deserve his attention. Voysey designed everything, from the building itself right down to the handles on kitchen-dressers. Born into a family building business in England, Louise regularly contributes to this level of design detail for Kingswoods clients. Voyseys holistic method towards residential architecture was the perfect choice for her own creative inspiration. 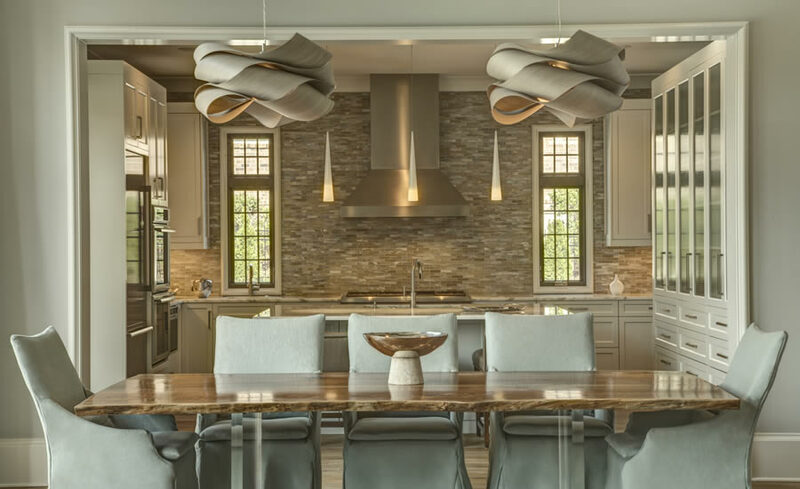 Like him, Louise has forged working relationships with small specialist companies in the Carolinas and the U.K. to manufacture her custom designs for cabinets, doors, staircases, flooring and hardware. From a distance, the first characteristic you notice about the Leekes residence is its unique, sweeping slate-colored roofline and bright clay Voysey-esque chimney pots. This modest, white-rendered country house design became a symbol of harmony between man and nature in Victorian England. 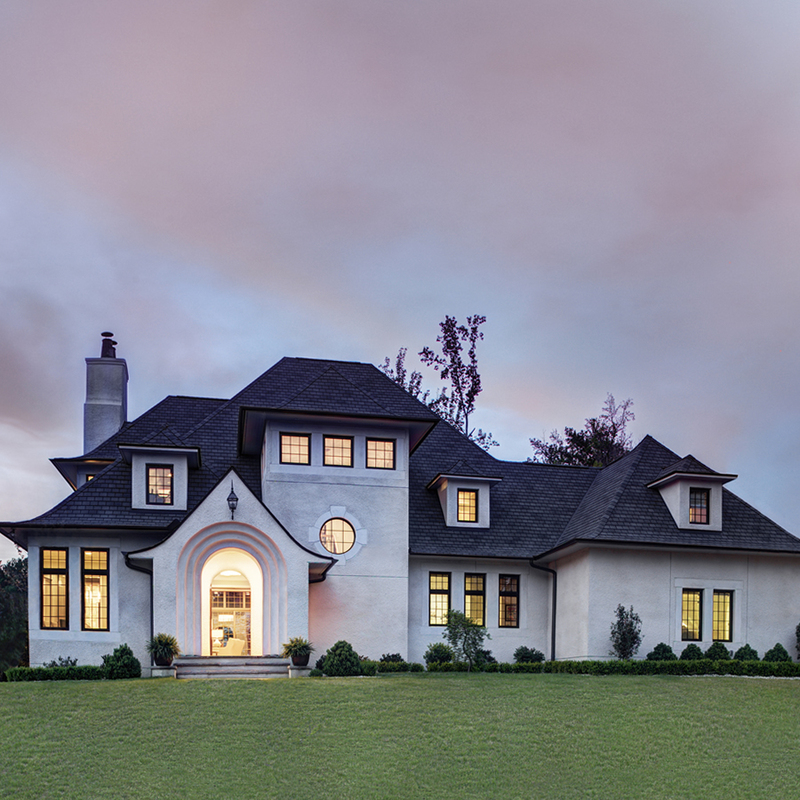 The celebration of retreating to rural life sparked creative collaborations between artists, designers, craftsmen and builders: an old English workmanship process that Kingswood Custom Homes has long endeared itself to since its inception in 1977. Peter Leeke was a builder in England before moving to North Carolina, so this approach quickly distinguished his work. inside and out, explained Louise. The interior is clean, relaxing and welcoming. Also typical in a Voysey design, the main floor features a long, wide-open space almost the full width of the elevation. 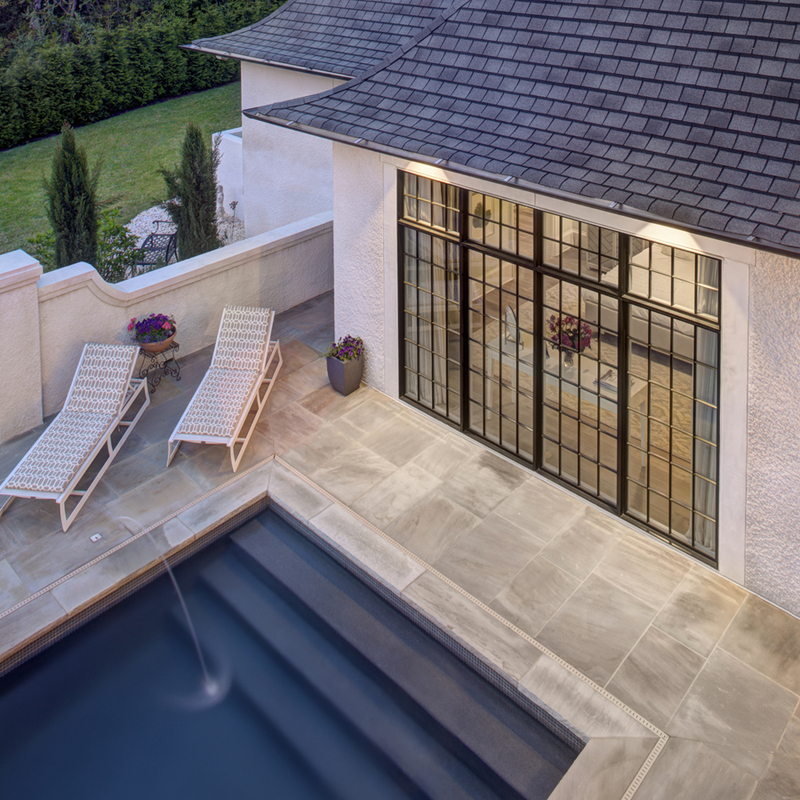 Walls of custom windows built by Windsor Windows & Doors in Monroe produce a soothing, continuous visual of pool water from all directions. With only 4,600 sq. ft. of heated square footage, this home manages to cleverly tuck away 5 bedrooms and 5 1/2 bathrooms to accommodate their family and guests. 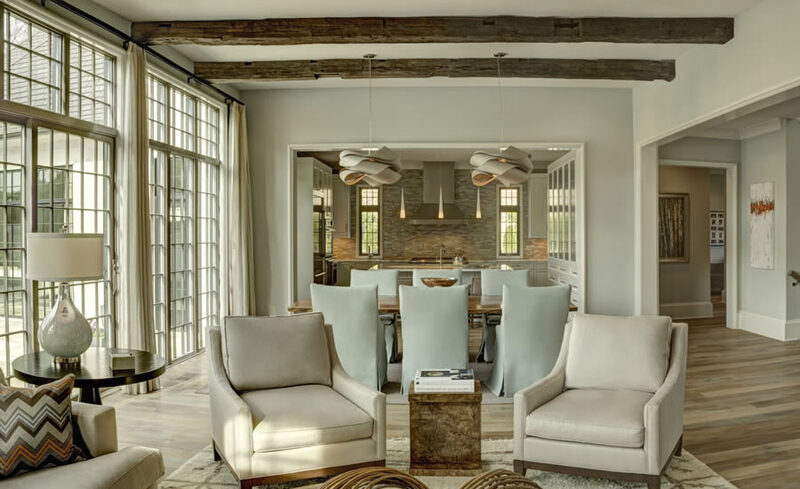 Next to the overall tranquility of the interior, the most noticeable features are the floors, beams and contemporary lighting fixtures. The reclaimed 17ft barn beams were sourced in Canada. 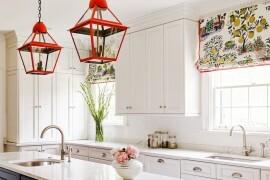 The striking organic dining room fixtures are from Charlottes Modern Lighting Design Store, which also assisted in importing a 52 glass globe fixture that sprinkles light effects over the staircase. The floors especially are a one-off creation and a source of great pride for the Leekes. In England, fuming wood was an accidental discovery and a process introduced primarily to craft furniture makers. Louise experimented with fuming her 7 wide European white oak planks. 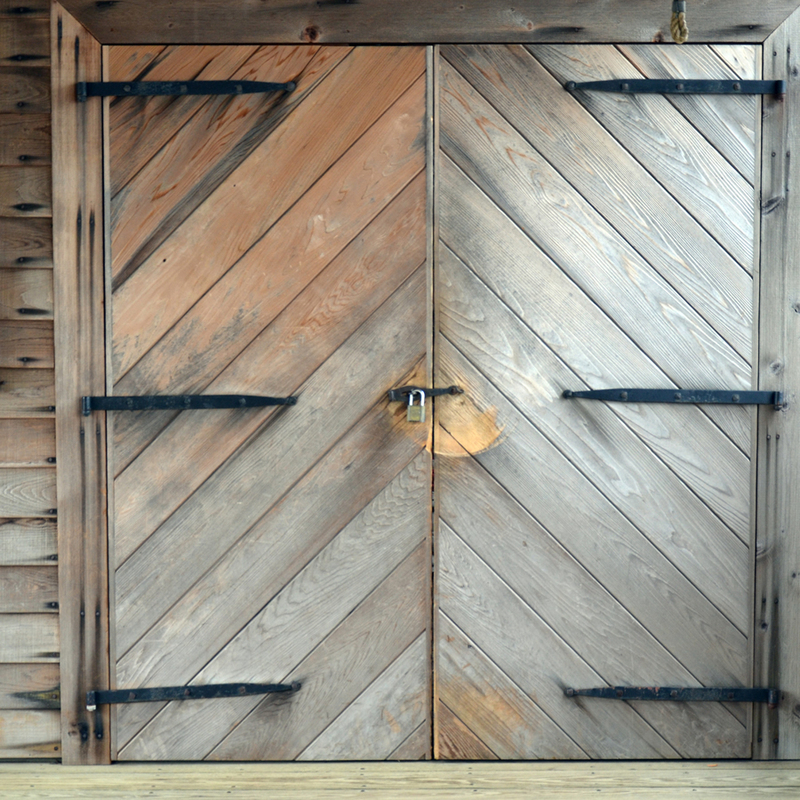 The longer the wood is exposed to fumes, the more it reacts with the tannins in the wood making it naturally darker. Unlike a stain, which only penetrates the surface, fuming changes the color all the way through which makes wear and tear unnoticeable. She settled on a limited exposure to fumes to keep the coloring light and matte-finished it with solvent-free Loba ParkettOil. To compliment the unique flooring, Louise looked to trade partner Layton Campbell for all their furniture selections. A standout is the 9 live edge North Carolina walnut tabletop that appears to float on top of Louises custom designed acrylic legs. Another unique space is the master bath, which is flooded with natural light from transom windows allowing for privacy without the need for window treatments. Centered below is a Victoria + Albert volcanic limestone freestanding tub that naturally retains the heat of bath water longer. Probably the epitome of enhancing this vacation-like lifestyle is the remote control for their pool fountain. 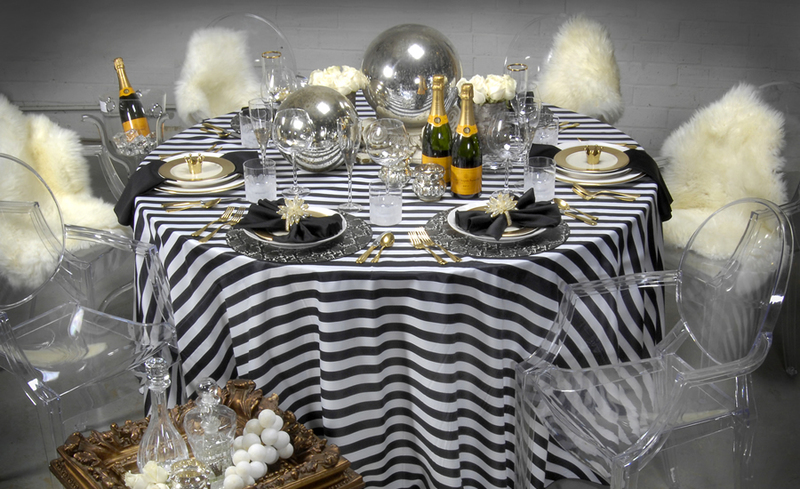 We can open the drapes and turn on the water feature without having to leave our bed. Why go traveling when you can have this at home? she points out. 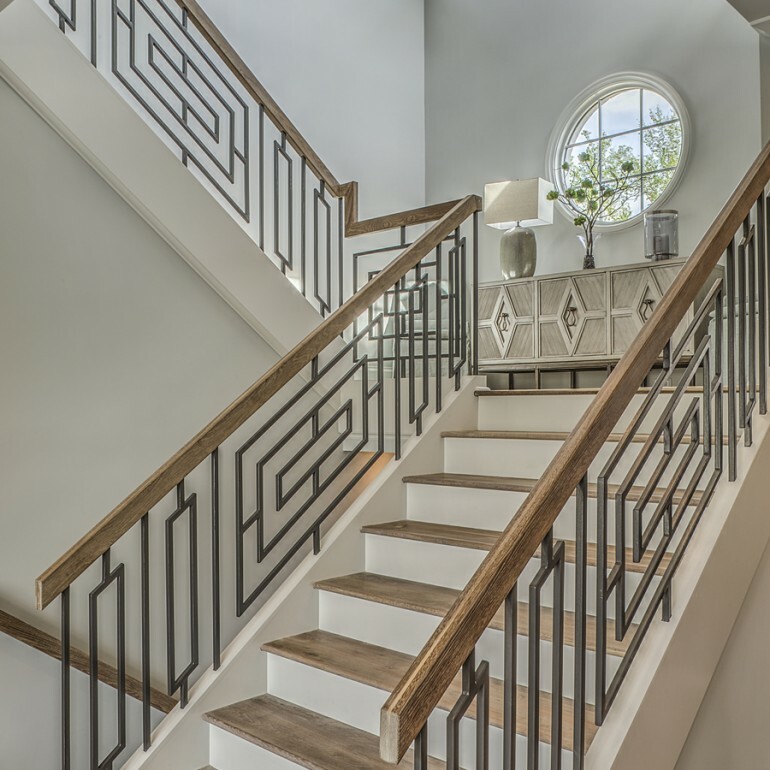 Thankfully perfection will never go out of style with Kingswood Custom Homes. 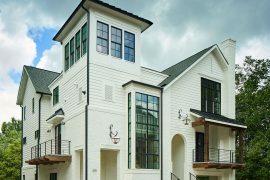 For more information on designing and building for world class living in greater Charlotte and Kiawah Island, please visit Kingswood online at www.kingswoodhomes.com or call (704) 889-1600.